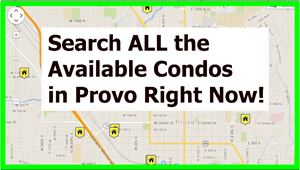 Courtside Condos – Provo Utah is located at 948 N 50 E Provo, UT 84097. These condos are BYU approved for Females. Please verify with BYU offcampus housing prior to purchasinga Courtside Condo. 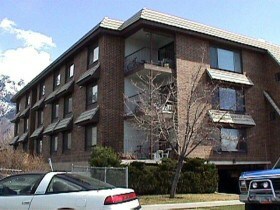 Courtside Condos were built in 1985 and have 18 units. These condominiums have been FHA approved in the past. Many of the condos at Courtside have 2 beds and 2 baths. Historically these units have been BYU approved for four women. Large private balcony, fireplace, huge kitchen, great location across from BYU tennis courts. If you would like Paul Teasdale of Team Teasdale Realty to check and see if there are currently any Courtside Condos for sale contact Paul. If you are thinking of listing a Courtside Condo contact Paul for the current sales data. Since 1996 the MLS is reporting 35 condos at Courtside have sold. The prices started selling between $103-$145 from 1996 to 2000. The prices moved from $145k to $180 from 2000 to 2005. The highest recorded price was in 2007. This Courtside unit sold for $192,000. The prices have slightly declined to around $189,900. These condos have experienced some nice appreciation over the past two decades. Do you own a Courtside Condo in Provo Utah and would like a current Free CMA on today’s value? One of the main benefits is being able to pick your own roomates while attending BYU. In condominium ownership, the owner has control, unlike an apartment setting. You will be able to remain in your condo until your degree is finished. You don’t have to worry about someone selling the condo. Want a full wall of artwork or family photos? Want border paper around the room? Want a vividly-colored wall and exotic carpet? It’s all your choice as a condo owner. Other benefits include equity, which can build with each payment you make, unlike rent, in which you own nothing, even after years of payments. In addition, real estate traditionally appreciates over time. Tax advantage that may be realized by condo ownership. You will have to check with your accountant.